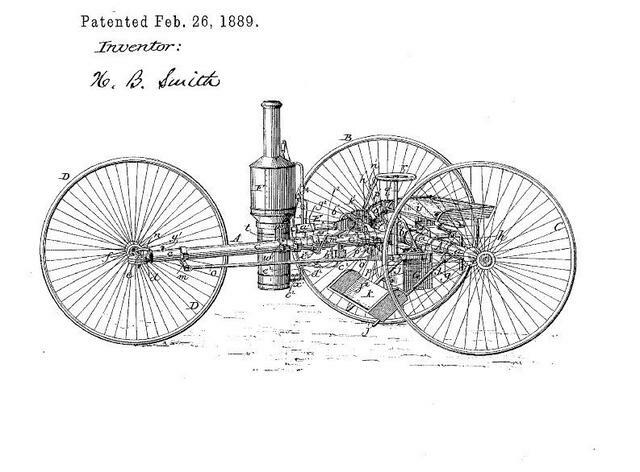 New Jersey manufacturer Hezekiah Bradley Smith patented a steam powered tricycle in 1889. He also built the American Star Bicycle, which sold for $150 in a time when an average income for a man was $500. Smith did very well with his manufacturing business, and was elected to Congress in 1879. He purchased the town of Shreveville New Jersey and invested vast sums of money to make it an industrial center. He renamed the town Smithville, and the town still hosts the company Smith founded, the Smith Machine Co.
All these steam powered vehicles and other steam gadgets of the late 19th century make me wonder how they managed to transport the fuel they needed on such a small machines as this trike. I have the very same doubt about this inventions. How do you handle the fuel? The combustion gases? The other thing, which is a subject still today, is the weight of the system. In the end, 80% of the energy wasted in moving this machine is destined to move the actual weight of the vehicle and its fuel, not the passengers, just like today’s oversized cars and vans. On the other side, congratulations on this blog. There are some very nice stories told here. Steam cars have an interesting history in the automobile story. 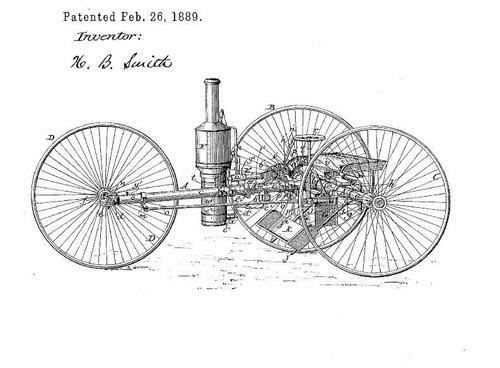 It was natural that mechanics turned to the best known power source – steam – in making some of the earliest powered vehicles. Early on, there were many steam car companies, some of them quite sophisticated, such as the White Steamer. Others, such as the Stanley, reached a technical solution early, then stagnated. I’ve created a virtual steam car museum on my steam car web site, http://www.stanleysteameronline.com. I’d love to add any information that might be out there.